Connemara Community Radio Station has some excellent podcasts that will help you along with your revision. Be sure to listen with a pen and paper at the ready to write down all useful points of information. The series is designed with Leaving Cert students in mind – you are sure to find something that will be of use to you. The Christmas holidays are here and with the holidays comes a great opportunity for revision for your Leaving Certificate. I suggest that you do around 45 minutes of work each day on English. The following plan covers most aspects of the course; but anything you don’t get covered we will come back to in January. Remember that the mock exams take place around three weeks after we return from the Christmas holidays – this will help provide some extra motivation! Be sure that you can recognise and write in each of the five uses of language – language of information, language of argument, language of persuasion, language of narration and aesthetic use of language. Revise the various type of Question Bs that may arise, such as a letter, review, talk, speech, interview, diary, report and so on. As your Single Study text, you must be very familiar with all aspects of ‘Macbeth’ – character, style, imagery, themes etc. Know your three Modes of Comparison well – Literary Genre, Cultural Context and Theme or Issue. Ensure you are very familiar with your three comparative texts – ‘How Many Miles to Babylon?’, ‘Sive’ and ‘The Constant Gardener’. Remember that we have done six out of eight poets in class. You should revise a minimum of five. The following is a suggestion as to how you might cover all of this material. Feel free to adjust it according to your needs and your time. Sat 22nd Dec – Language of Narration – know how to recognise it when you read it and what is required when you are asked to write using this type of language. Practise writing narrative paragraphs. Sun 23rd Dec – the poetry of Derek Mahon – themes, techniques, imagery, key quotes etc. Add to the notes that you already have. Mon 24th Dec – Diary entry and report writing – what are the conventions required for each of these pieces of writing? Can you recognise the language used in these formats and can you write one of these? Practice. Use your ‘Language in Focus’ to help. Wed 26th Dec – ‘Macbeth’ – the major characters. Add to the notes you have already made. Find a quotation to support every point you believe to be true. Thurs 27th Dec – Letter writing and reviews. Practice. Fri 28th Dec – ‘Macbeth’ – minor characters, style, imagery. Add to the notes you already have. Find quotes. Sat 29th Dec – the poetry of Elizabeth Bishop – themes, techniques, imagery, key quotes etc. Add to the notes you already have. Sun 30th Dec – language of information and aesthetic use of language – how would you recognise each of these uses of language? With aesthetic use of language, be sure to revise literary techniques. Mon 31st Dec – ‘Macbeth’ – themes. Add to your own notes. Wed 2nd Jan – talk and speech. Practise. What techniques would we expect to see in such writing? Also revise the language of Argument and the language of Persuasion. These two have many similarities, yet are quite distinct. Can you identify the distinctions? Thurs 3rd Jan – Literary Genre – what does this mode entail? Examples: use of dialogue, flashback, chronological order, suspense, imagery, conclusion of the story etc. How do each of the above aspects relate to our three texts? Start planning essays and writing sample paragraphs. Fri 4th Jan – the poetry of Adrienne Rich – add to your notes. Sat 5th Jan – Cultural Context – what does this mode entail? How does it relate to our three texts? Start planning essays and writing sample paragraphs. Sun 6th Jan – the poetry of Sylvia Plath – add to your notes. If you have any questions, queries or concerns please contact my by posting a comment here or by emailing me. Best of luck with the revision! Your hard work now will reap rewards later! It helps you realise that you’re not alone! Here is a suggestion for some revision over the Easter holidays. I suggest that you do around 30-45 mins of English a day and I have given you a break on the three Sundays. Sat 31st March – Poet 1: choose the first poet that you are going to revise. Add to your notes on the themes, imagery, techniques etc for this poet. Write out the key quotes onto index cards and learn them well. Mon 2nd April – Dancing at Lughnasa: revise your key quotes for each character. Wed 4th April – QB: make a list of the conventions that are expected for each type of QB that could come up, i.e. conventions for a letter, radio talk / speech, diary entry, website article, report, memo, interview, dialogue, proposal etc. Thurs 5th April – General Vision and Viewpoint: write out a detailed essay plan for an essay chosen from the papers. Practice some quality linking sentences. Sat 7th April – Literary Genre: another detailed essay plan. More linking sentences. Mon 9th April – Dancing at Lughnasa: revise your key quotes for each theme. 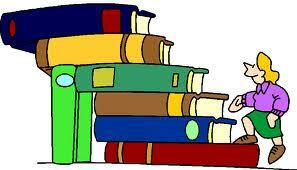 Wed 11th April – Essay: make a list of the conventions that would be expected in the various essay types, i.e. conventions for a speech, magazine article, short story, personal essay etc. Thurs 12th April – Theme or Issue: another detailed essay plan. More linking sentences. Sat 14th April – Go back over any topic that you feel is a weakness for you. Keep an eye on the blog here. I will add extra information, notes, ideas etc over the fortnight. As always, if you have any question or difficulty, make a comment and I will reply as soon as I can. The Christmas holidays provide an excellent opportunity for you to undertake some concrete revision for your Leaving Certificate exams. A small amount of work each day – around 45 minutes per day for English – will reap many rewards. I have tried to cover as much of the course as possible for you to revise, but if there is anything missing we can cover it together in class. Remember that the mock exams take place around three weeks after we return from the Christmas holidays – this will help to provide some extra motivation! Be sure that you can recognise and write in each of the five uses of language – language of information, language of argument, language of persuasion, language of argument and aesthetic use of language. As your Single Study text, you must be very familiar with all aspects of ‘Dancing at Lughnasa’ – character, theme, style, imagery etc. Know your three Modes of Comparison well – Theme or Issue, General Vision and Viewpoint and Literary Genre. Ensure that you are very familiar with your three comparative texts – ‘How Many Miles to Babylon?’, ‘Inside I’m Dancing’ and ‘Hamlet’. Remember that you have studied seven of your eight poets in class. Do not include Kinsella in your revision. We will study him after the mock exams. All others should be revised. Thurs 22nd Dec – Language of Narration – know how to recognise it when you read it and what is required when you are asked to write using this type of language. Practise writing narrative paragraphs. Fri 23rd Dec – the poetry of Philip Larkin – themes, techniques, imagery, key quotes etc. Add to the notes that you have already. Sat 24th Dec – Diary entry and report writing – what are the conventions required for each of these pieces of writing? Can you recognise the language in these formats and can you write one of these? Practice. Tues 27th Dec – ‘Dancing at Lughnasa’ – the major characters – add to the notes you have already made. Thurs 29th Dec – the poetry of Eavan Boland. Fri 30th Dec – language of information and aesthetic use of language – how would you recognise each of these uses of language? With aesthetic use of language, be sure to revise literary techniques. Sat 31st Dec – ‘Dancing at Lughnasa’ – themes. Add to your own notes. Be sure you know your quotes. Go over past papers. Sun 1st Jan – talk and speech – practice. Mon 2nd Jan – Literary Genre – what does this mode entail? Examples: use of dialogue, flashback, chronological order, suspense, imagery, conclusion of the story etc. Tues 3rd Jan – Literary Genre – how do the above aspects relate to our three texts? Start planning essays and writing sample paragraphs. Wed 4th Jan – Language of Argument and Language of Persuasion – these two have many similarities and yet are quite distinct. Can you identify the distinctions? Practice writing in both of of these genres of writing. Thurs 5th Jan – General Vision and Viewpoint – what does this mode entail? Examples: outlook on life, moral stance, key relationships, the treatment of women etc. Fri 6th Jan – General Vision and Viewpoint – how do the above aspects relate to our three texts? Start planning essays and writing sample paragraphs. Sat 7th Jan – the poetry of Robert Frost – add to your notes. Sun 8th Jan – the poetry of Adrienne Rich – add to your notes. Best of luck with all of your revision!